I have to declare an interest in the subject of this week’s post: the Horniman is my local museum and my son and I have spent many a happy hour there. Behind its attractive Arts and Crafts exterior, this quirky South London museum houses the eclectic collections of the tea merchant and philanthropist, Frederick John Horniman. With 16 acres of gardens, an aquarium, and its famous, stuffed Victorian Walrus (yes, really), the Horniman Museum is a great, family-friendly destination. As a tea trader, Frederick Horniman travelled the world collecting objects he thought would interest his local community back in London. His collection eventually became so extensive that, in 1890, he turned his house into a free, public museum. The museum’s popularity was such that Frederick Horniman commissioned a new, purpose-built museum, which opened, along with its adjoining gardens, in 1901. He later donated the museum, collections and gardens to the people of London. The Horniman Museum’s galleries still reflect Frederick Horniman’s original areas of interest, with important collections of items relating to Natural History (which is where you’ll find that stuffed Victorian walrus I mentioned above) and World Cultures/Anthropology, as well as a significant collection of musical instruments. There is also a small, but popular, aquarium – a big hit with babies and small children. 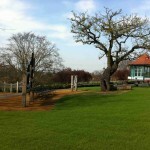 The Museum has beautiful gardens with fantastic views over London and an animal enclosure. These have recently undergone extensive renovation and are due to reopen fully later this Spring. The Museum’s current temporary exhibition, The Body Adorned: Dressing London, is part of the London 2012 Cultural Olympiad Programme and considers how the way in which Londoners dress and adorn their bodies has been influenced by other world cultures over the centuries. 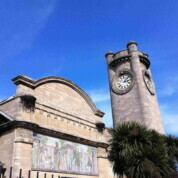 The Horniman Museum’s diverse collections may seem a little random from a modern viewpoint, but they reflect a passion for travel and exploring world cultures that was typical of the Victorian era in which Frederick Horniman founded his museum. The modern day additions to the museum, its programme of activities, aquarium and the beautiful gardens make the museum an attractive destination for families. Admission to the Horniman Museum’s permanent collections is free. Entry to the aquarium costs £2 (adults), £1 (children aged 3-16), £5 for a family ticket (4 people, up to 2 adults). An annual family ticket is also available for £15. Admission fees apply to some temporary exhibitions. Admission to The Body Adorned: Dressing London is free. 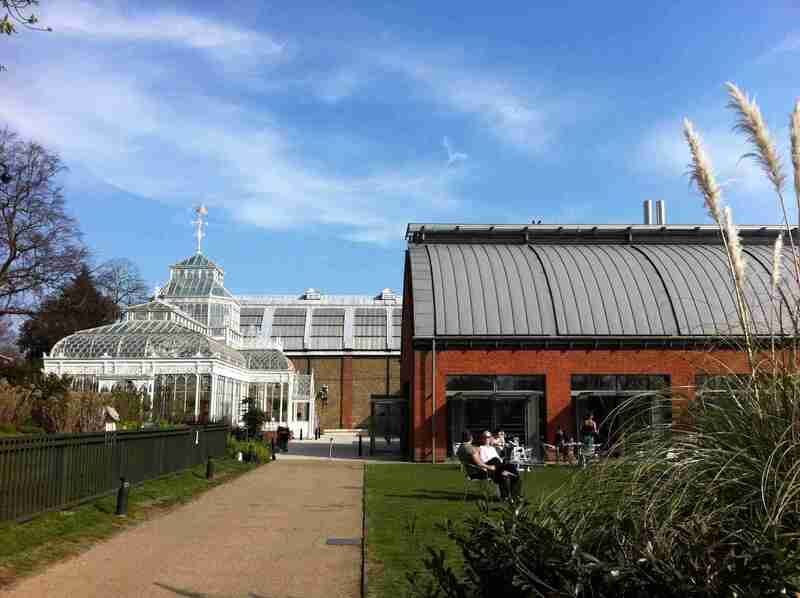 The Horniman Museum is fully accessible to pushchairs. Baby changing facilities are available. The Museum runs a weekly programme of activities for babies and children including the popular Friday Busy Bees storytelling sessions for under 5s. 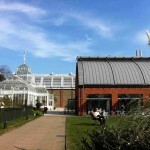 The Horniman Museum has a café with outdoor seating and additional indoor seating in the Museum’s Victorian conservatory located in the Museum grounds. The café serves hot and cold meals, snacks and drinks, including children’s meals. High chairs are available. There is a picnic area in the Museum gardens. 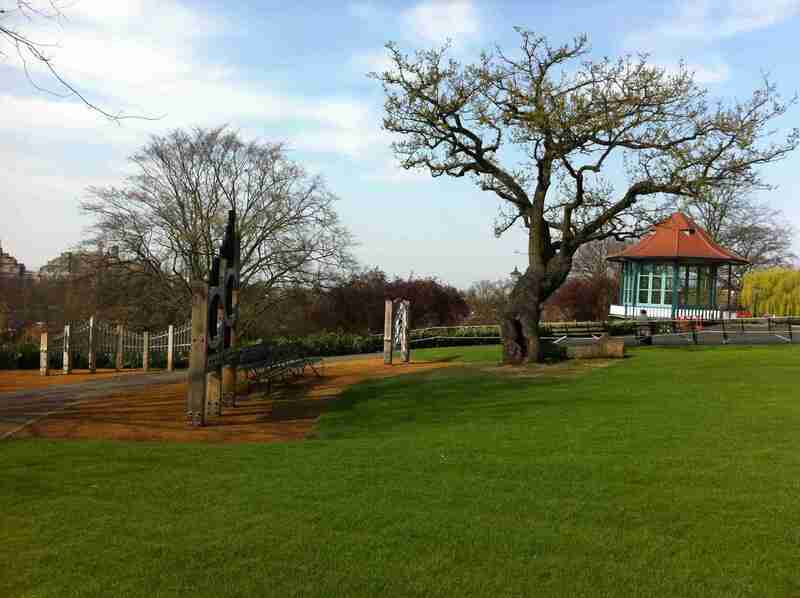 The Horniman Museum is open daily 10.30am to 5.30pm. By train: The nearest station is Forest Hill (London Overground, National Rail).